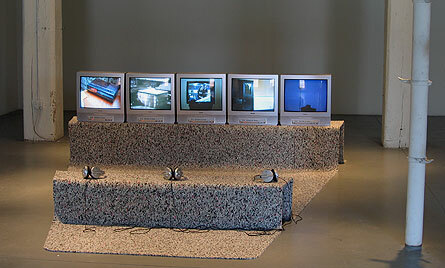 Video and sound installation with five synchronized dvd-players, five 28” monitors, carpet and three headphones. DVD PAL 4:3, 10min. 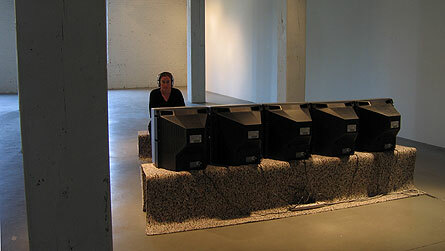 Language: English, narrators: Jennilie Brewster and Matt Wycoff, 2007. 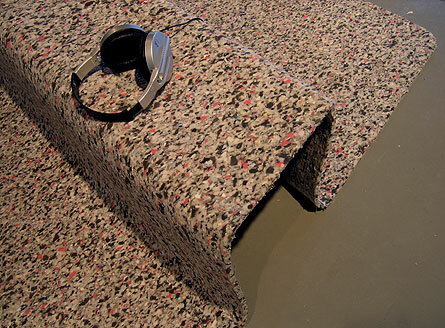 A voice-over speaks about Dr. Lilly, floating in his custom-made sensory deprivation tank; about David Blaine suspended for 44 days in his plexi glass box above the Thames; about how termites construct their magnificent nests. 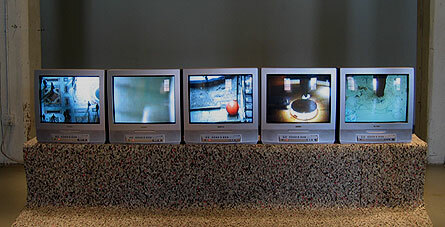 The voice and soundscape is accompanied by images on five monitors not directly illustrating what is being said but rather expanding the possible meaning of the phenomena presented. 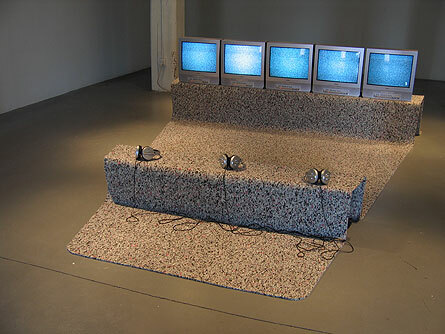 The different stories relate to our western conception of individuality and strive for autonomy – as filtered through mass media. 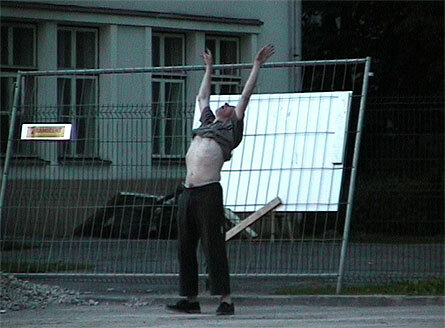 With support from Bemis Center for Contemporary Arts, Omaha, Nebraska, USA.